When nearly 85 percent of people between the ages of 12 and 24 develop acne and acne scars, a cure or effective treatment is in high demand. So what about Aloe Vera for acne scars? Aloe Vera is a powerful scar healer that can be taken both internally and externally. When taken internally it boosts the immune system and eliminates toxins. When used topically it soothes and restores inflamed skin, heals scared tissue, and helps regenerate damaged skin. The remedies and treatment programs derived from this plant are relatively inexpensive and simple to use. 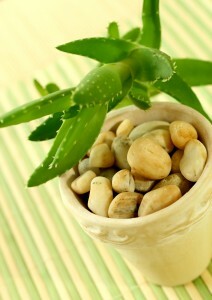 Continue reading to learn more about Aloe Vera for acne scars. Before delving into Aloe Vera for acne scars, it’s important to know what acne is. Acne occurs when skin overproduces oil, resulting in clogged pores and lesion outbreaks such as pimples and whiteheads. Skin then becomes broken from irritation such as picking or harsh exfoliation. Acne scars made up of lesser quality cells form in order to repair the broken tissue. 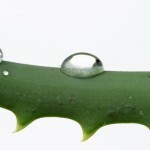 Aloe Vera’s healing capabilities comes from its abundance of antioxidants that fight free radicals floating in the body. Aloe Vera supplies a plethora of building materials to help maintain healthy looking skin. During the natural building process skin replenishes itself every 21 to 28 days using the nutritional building blocks of Aloe Vera. Ingredients like gibberellin and polysaccharides stimulate skin and help heal acne affected areas. They reduce swelling and inflammation around blemishes, stimulate the growth of new cells, and increase skin’s ability to heal scarred tissue. To get the full benefits of Aloe Vera for acne scars, use Aloe Vera gel and Aloe Vera juice. Both make useful home remedies for acne and scar treatment. Aloe Vera is a natural bleach, and when applied to scars, it penetrates up to seven layers of skin to the body’s deepest tissues to slowly lessens discoloration until the scar vanishes. When freshly squeezed Aloe Vera gel is applied to affected areas, it covers it in a protective coating that helps speed up the healing process, decreases swelling and inflammation, and relieves any pain. These simple remedies can help heal scarring. Drink about half a cup of Aloe Vera juice daily to flush way toxins that slow scar healing from the body. 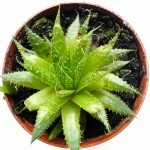 Purchase Aloe Vera plants and break open the stems to collect the gel inside. Apply topically and generously to affected skin after a thorough washing. Mix Aloe Vera paste with vitamin E capsules and rub onto scars several times a day. If you’re looking for an all-natural remedy for your acne scarring problems, Aloe Vera for acne scars may be what you have been searching for. Its benefits are far reaching without the use of any harsh chemicals or procedures that further aggravate acne. Not only is it effective at treating acne scars, it is a good preventative measure. Aloe Vera is a perfect remedy for the all-natural conscious, acne sufferer.